I will try to keep this as brief and tactical as I can. If anyone has any questions or further clarity just ask! The remainder of this install will be either extremely easy/fun OR a major pain in the ***. It all depends if you opted for the Schnitz Harness or not. I did, to make things easier, so here we go…. - Connect coil plug-wires to new harness, in the corresponding coil order. Mount kill box anywhere you can find, I mounted mine where I removed the flapper canister and it fits perfect. The shifter switch is actually a common rear brake light switch, found on nearly every bike, designed to run in-line with your shifter rod. When an up shift is performed, the switch activates the kill box to momentarily cut ignition to the motor. - There are two wires on the switch red and blue. RED: connects to the blue activation wire on the kill box. BLUE: connects to a good ground, I used the negative post on the battery. Put everything back together and you're done!! Enjoy clutchless up-shifts above 3000 rpm. 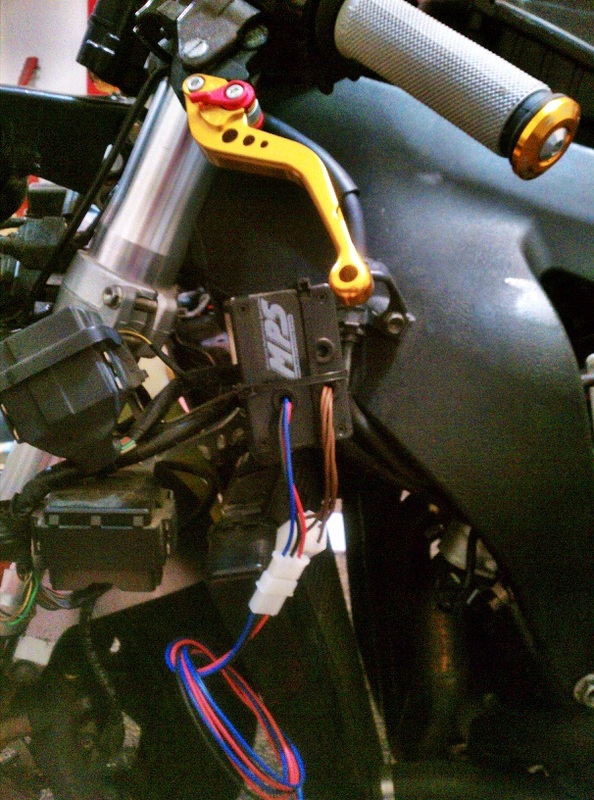 According to MPS Racing, WOT is not necessary to perform clutchless up-shifting with this system. It is recommended to shift above 3000rpm. I found this true, as it has operated flawlessly even in low rpm. Last edited by sickcbr1k; 03-05-2013 at 09:24 AM. I'm thinking of getting this QS. What would you rate it overall? Everything you need to know about HID installs.